Barbara Sue (Phillips) Jenkins, age 70 of Jacksboro went home to be with the Lord Wednesday, February 13, 2019. She was a loving wife of 25 years. Barbara enjoyed gardening and spending time outside, arranging her flowers. She also enjoyed sewing and making quilts. 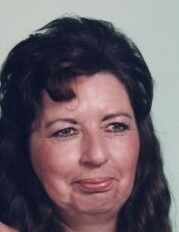 Barbara is preceded in death by son Keith Hale; parents Luther and Maudie (Gross) Phillips; brothers T.J. Phillips, L.H. Phillips, and an infant brother. Wilson Funeral Home followed by funeral service at 7 PM with Rev. Lynn Ray officiating. Friends and family will meet 12 PM Saturday, February 16, 2019 at Martin Wilson Funeral Home to go in procession to Indian Creek Cemetery for 1 PM interment.